Simple, intuitive, user-friendly design. This app is bloat-free, with ultra-fast PDF rendering! Mark up your score as needed with our lightweight and flexible annotations feature. Bookmark pages in long PDFs for quick access later. Perfect for real book players. Store charts in Dropbox and be confident you’ll never rock up at a gig without your music. Compatible with Bluetooth foot pedals if you need both hands to play. This app is designed by a musician, for musicians. Creativity and love went into it. Get your music organised. Access it anywhere, anytime. 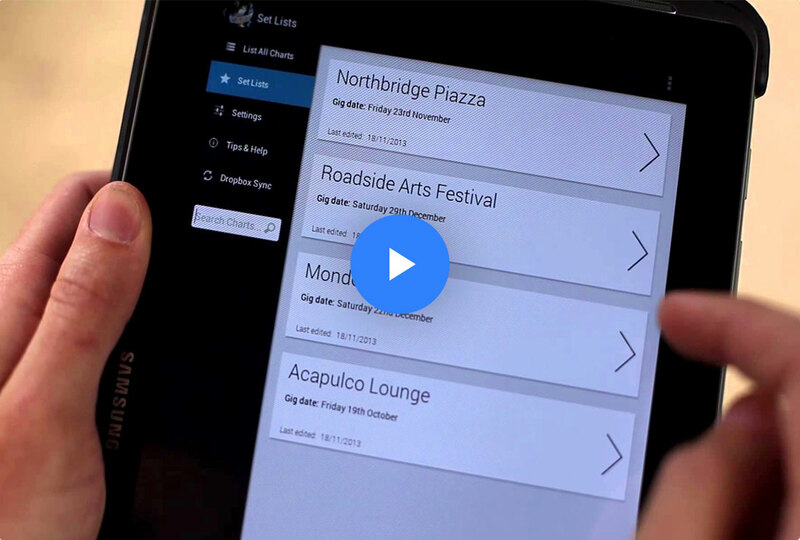 Features include set lists function, hands-free page turning, and Dropbox sync. Bring freedom to your music - go digital with Orpheus sheet music reader for Android. Orpheus is simple, elegant, and reliable. I love that I no longer have to carry paper to rehearsals. And I can pull up any chart straight from my band’s shared Dropbox. A revolution in digital sheet music. Orpheus is slick, quick, and does a fantastic job of keeping music organised and accessible on your Android phone or tablet.